If the teenagers are not to be more toward the car, are the large automobile manufacturers to go toward the young. It is the phenomenon of the moment. The decline of the desire toward the motorized means and the speed (which had nourished intensely the fantasy of their fathers and grandparents, the children of the boom, the baby boomers, those that have today between fifty to sixty years) stimulates the major manufacturers to invent new solutions to make attractive their models in the eyes of the new generations. The reference points are smartphones, the iPad, and video games. We must focus on that. The big brands make a conference after another, inviting sociologists and marketers; the answer is unanimous: we need to transform the dashboard of a car in one screen high technology, colored, sound and interactive. Take the example of the Renault. On the new Clio the center fascia and highly hi-tech is in the form of iPad. THE R-link allows you to download applications from virtual store of the house, even using TomTom Live and indications of the Coyote. Not enough or not enough of all hi-fi disco effect, Cd readers and Mp3, USB sockets. It is necessary to insert connective systems increasingly sophisticated that integrate with any type of mobile platform. Tools to navigate traveling, to be always connected and online, able to respond in real time to a post on Facebook or a sentence on Twitter. More that the displacement or the mechanical, counts the apparatus software. The boys discuss that. We walked in the era of App, the applications of each type. Mercedes in the new Class A has opened the way with the “digital drivestyle” that transports in the display in the dashboard the contents of the iPhone (which will follow soon even those Android), and in this way you can listen to the web radio (and even the tips of the voice software Siri). The experts they realized that this model of car-tablet also attracts those who young is not more, but is highly interactive and wants to keep pace. And then, the car that increasingly resembling to your computer with the wheels. 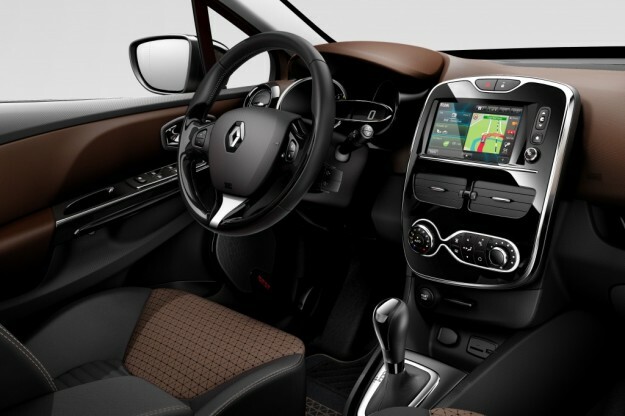 Systems tablet style also offer the Peugeot on 208 and the Ford with its Sync that was introduced on the B-Max to extend to the entire range, or even BMW with the ConnectedDrive which magically transformed the car into a mobile office always active. Just a voice command and these technologies are transformed into secretaries superefficienti: read mail and sms, browse music stores, book restaurants and theaters. The browser, which seemed to the discovery of the century, is now regarded with suspicion if it is enriched with a dedicated app, updated with the Google Earth imagery. Volkswagen thought to this: the seventh version of the Golf has very advanced connections. Hyundai has dubbed AppMode a special version of its ix20, which offers a multimedia station designed exclusively by Pioneer to frolic on the Web. We entered the world of cyber-car, there is something for everyone. Perhaps a little less like other available functions, such as those introduced in the new Ford Fiesta called MyKey, that allows parents to limit the speed of the car. But the new frontier is also represented by a new way of driving, such as that installed on the Fiat EcoDrive is called and allows a full-fledged eco-driving, allowing you to improve your driving to a better fuel consumption.